Description: This is a gorgeous Centennial machine with the striated face plate. The paint and decals are excellent plus and shine like new! Even the case is in excellent condition including the leather handle, and includes the lift-out tray. Includes the bobbin case, 5 bobbins, and foot controller. This is one of the nicest Featherweights we have ever had and as close to a true 9 condition as we have seen. 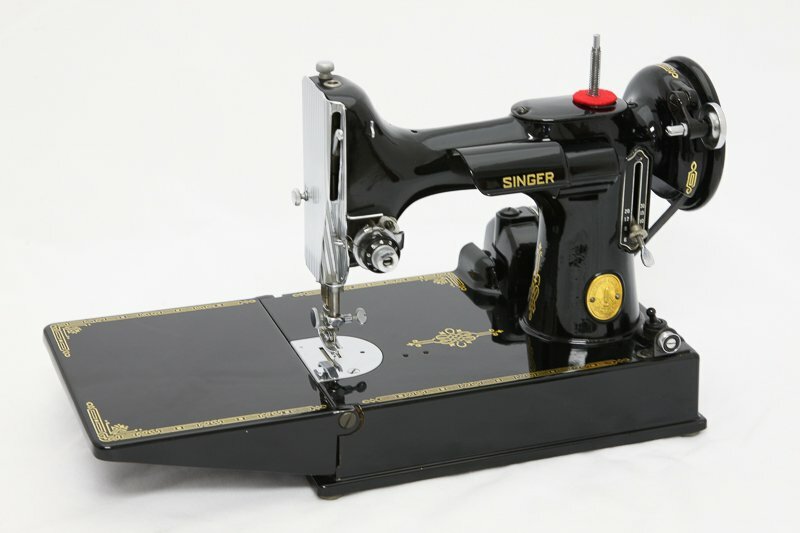 You will be the envy of your sewing group! Serviced and is ready to sew.